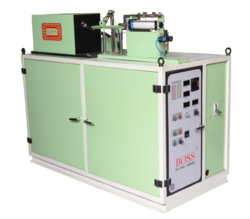 Boss engineers offers Billet Heater With Induction Technology to the forging industry.it a revolutionary product. Our Billet Heater practical any dimensions of bar and billets diameters power ranges vary from 7.5k.w upto hundreds of kw,at frequencies range of upto 50khz.Our Billet Heaters features with our medium Frequency power supply, Which are available in Transistor and IGBT Transistor technology. Reduce manpower and skilled worker. Flexibility and easy to upgradation. State of art IGBT and transistorized technology specification. Material=Steels, Brass, Aluminum, Copper, Titanium, Silver etc.